Picking a new rug is one of the biggest decisions you can make when it comes to decorating your house. The rug is what puts a room together. It is like ‘art for your floors’, in the words of one commentator. When considering how to choose the perfect rug, you have to take into consideration several factors, including size, color, and texture. People often pick rugs that are too small when they go shopping for one. As a rule of thumb, you should measure your largest sofa and add 30 cm on either side to have an idea of how wide the rug should be. You can then arrange your furniture around it, ideally with the front feet of the furniture on top of the rug. You should also consider a room’s size. A rug will look different when placed in a studio apartment as when it is placed in a multi-bedroom home. Always try to envision how the room will look with the rug in it before making your purchase. If your rug is for a patio, make sure that the front feet of the furniture touch the rug. The furniture can then be exposed to the outside across the back. For 4 – 6 person seating arraignment, consider an 8×10. For less than four people, consider a circular rug. Lay the rug completely under all the pieces of furniture. Leave 8 in. between the rug’s edge and the wall. Place a rug under the foot part of the bed. For a queen sized bed use a 6×9 rug. After selecting the right size, take time to consider texture. When doing so, ask yourself: will there be many people here walking around all the time? Is the rug more for decoration? The organic feel of a rug can be achieved by using materials like jute, which are handwoven using plant fibers. They are durable and feel great under the feet. They are good for high-traffic rooms. When I was looking for luxury rugs in Toronto, I picked a beautiful beige-colored jute rug that went perfectly with the natural ambiance of my living room. Wool and cotton rugs are flexible enough for most rooms. They have an endless variety of designs and are easy to clean. If you already have a color-pattern scheme going on in your room, then stick to a single-color rug. Use neutral, non-dominant colors, or ones that complement the existing furniture. 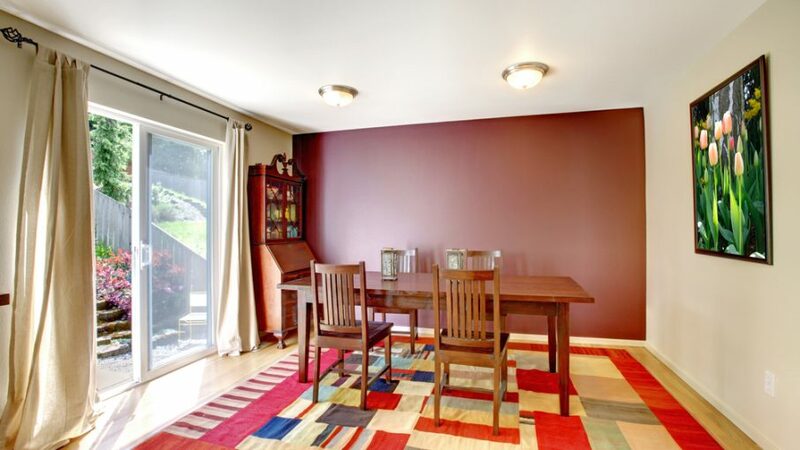 While it is important to keep the color subdued so that it does not distort the tone balance of the walls and flooring, sometimes a bold rug color can liven up a room. Whether you are decorating your single studio or trying to bring zest to a family living room, the rug can make or break a living space. Figure out what statement you want to make with your rug and design the rest of the room around that.